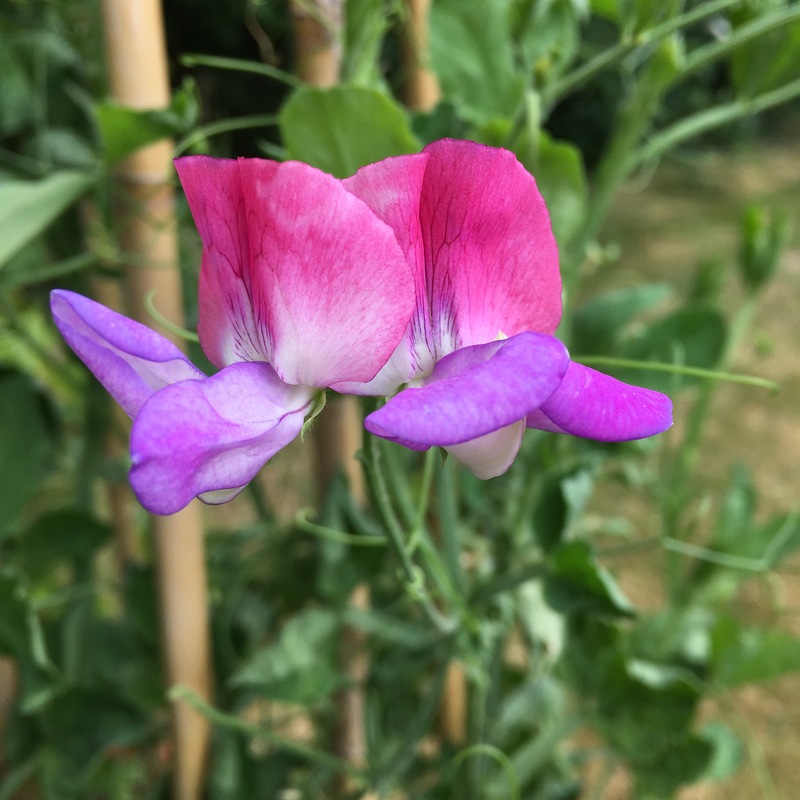 My first sweetpea! I planted these late this year, and then because of the recent weeks of dry weather they got covered with aphids. I thought the chance of flowers was zero to none. But I got rid of the aphids, carried on watering every day and now look at this beauty. There are plenty more buds too. The time for my annual cross stitch has come. 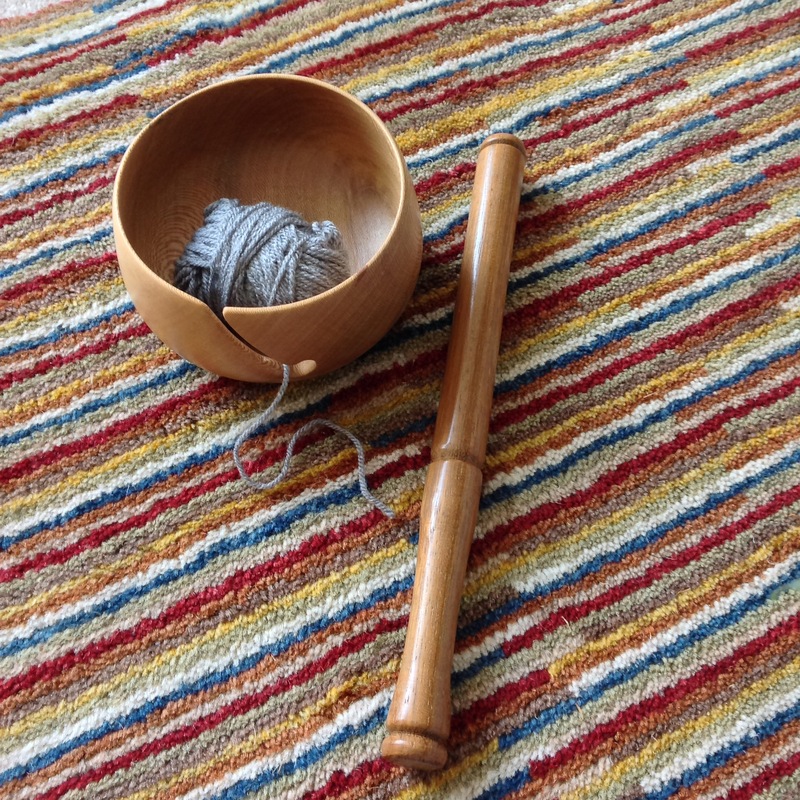 Oh, but if you’re a purist and check each stitch as you go for perfection, use a laying tool or trolley needle for ensuring the threads lie perfectly flat side by side or anything half as professional, please look away now. I’ve been googling tips for cross stitch, I really wish I hadn’t. Sometimes the truly professional take away all in the fun in something, don’t they?! 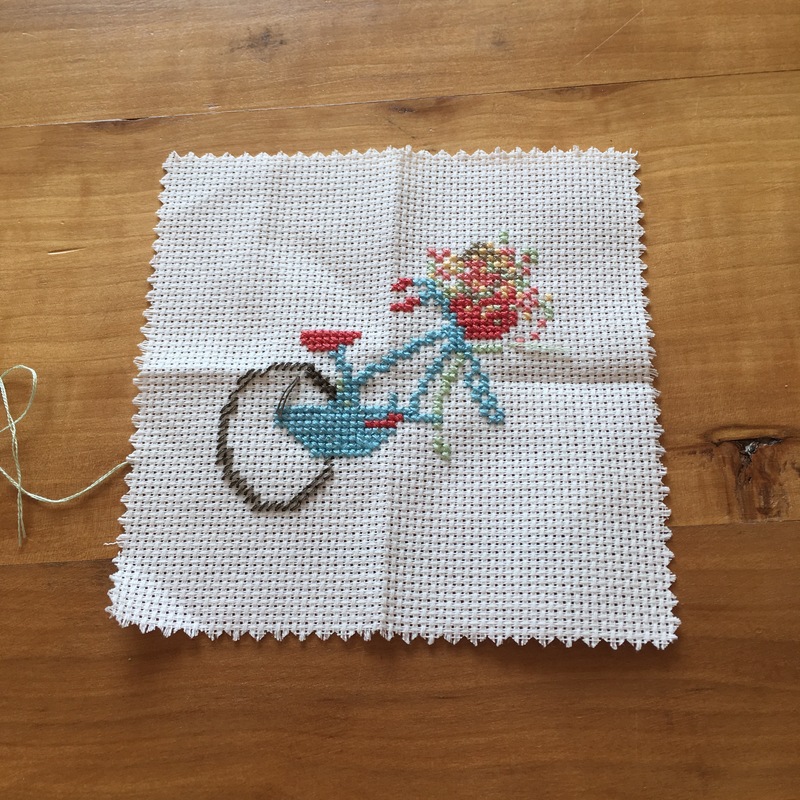 I find summertime cross stitching so absorbing and relaxing to do, when the daylight is good and it’s not as hot as knitting or crocheting. My enjoyment is definitely in the process, not so much in having a perfectly perfect outcome. A long weekend away in Lincolnshire and another BBQ in the field with friends and family. 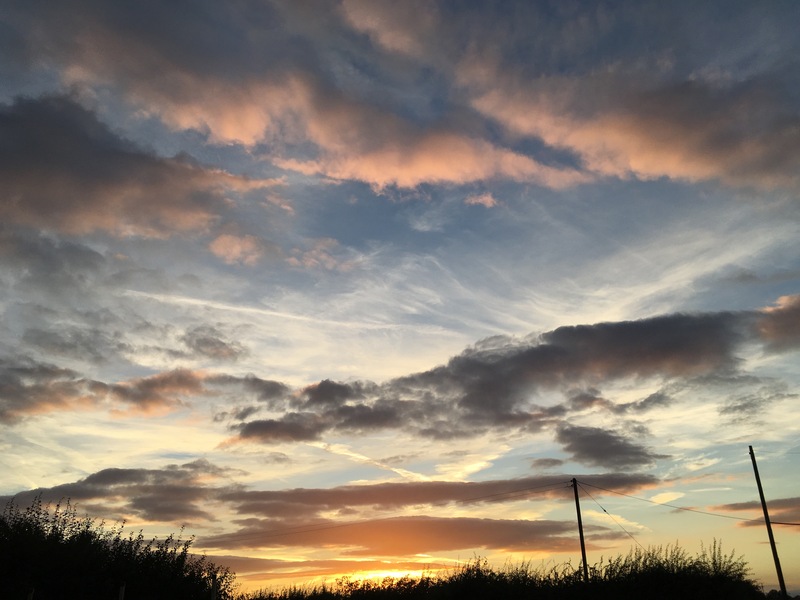 Just look at that sky! When it was truly dark we stood by the chiminea and just looked up at the stars. I think I need a guide to the constellations since I can only really pick out The Plough aka The Big Dipper. Lincoln Castle and The Wave. 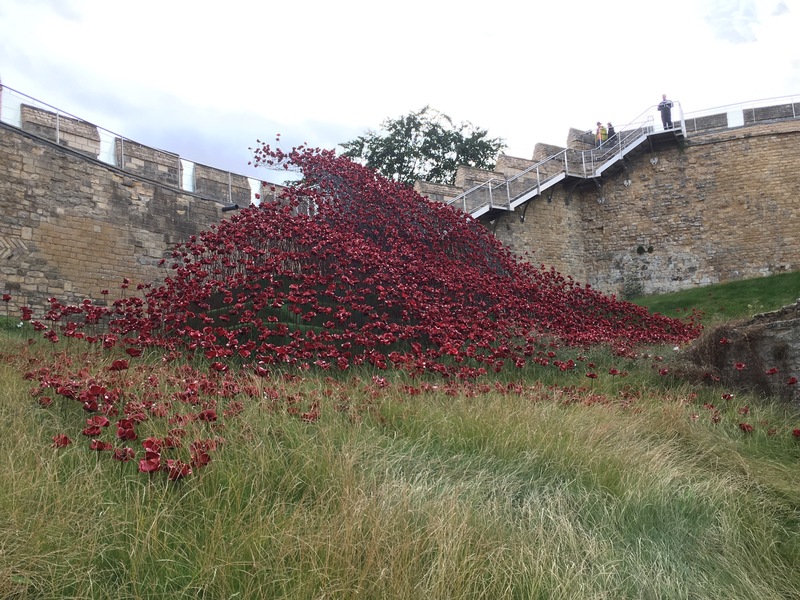 I’ve now seen the commemorative poppies when they were at The Tower of London, The Yorkshire Sculpture Park (after Yarndale last year) and now, unexpectedly, in Lincolnshire. 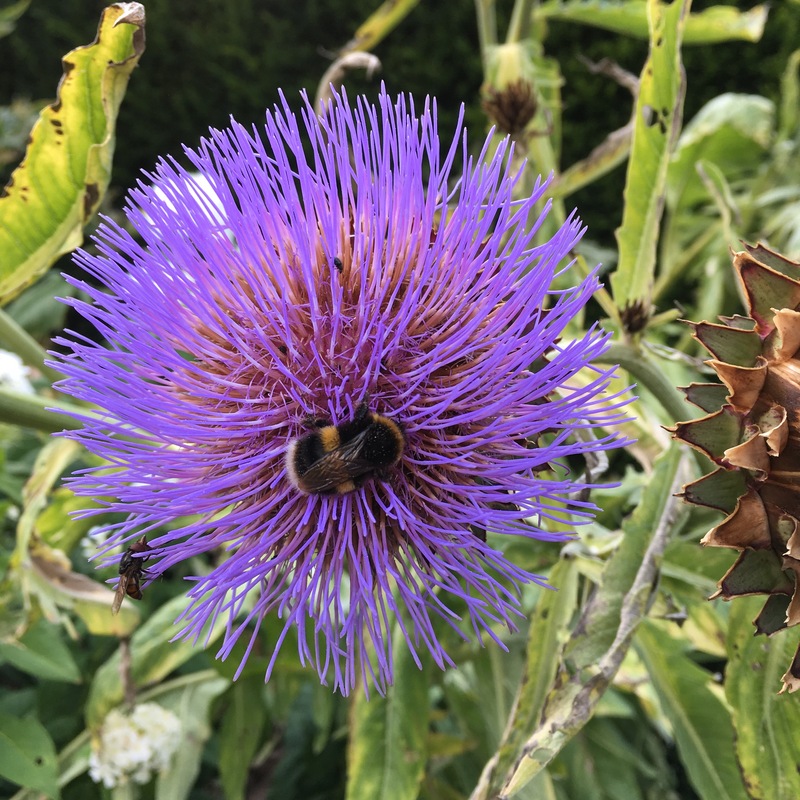 A visit to Waterperry Gardens yesterday and another bee on another thistle. I often seem to take a photo of these at gardens. I’ve just enjoyed looking back at posts of previous visits in August 2013, September 2014 and last March. The next time I go it will be for Apple Weekend in October, that’s a lot of fun; sampling so many types of Waterperry grown apples and trying to decide which bag(s) to buy. Then there’s the added choice of whether to buy juice too, cheese and maybe a pie…it’s a nice trip out. If you fancy writing a post about five or six things you’ve done in the last week, then please leave a link in the comments below. I always like to know what you’ve been up to. 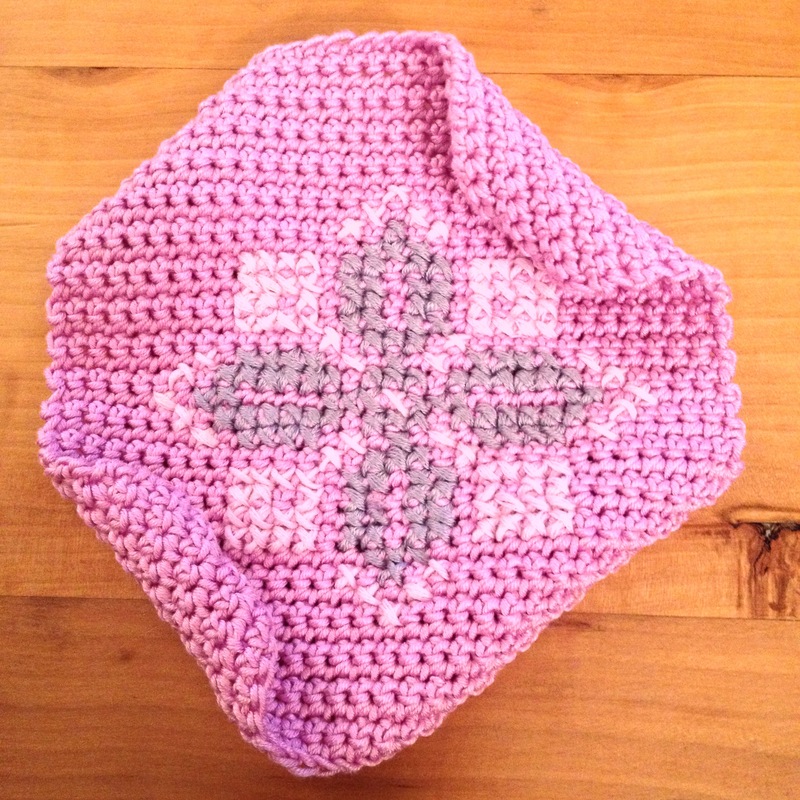 Thank you very much for all your likes and compliments on my Baby Hexagon Blanket, here, on Facebook and Instagram. They made my day. Is it ever going to stop raining? 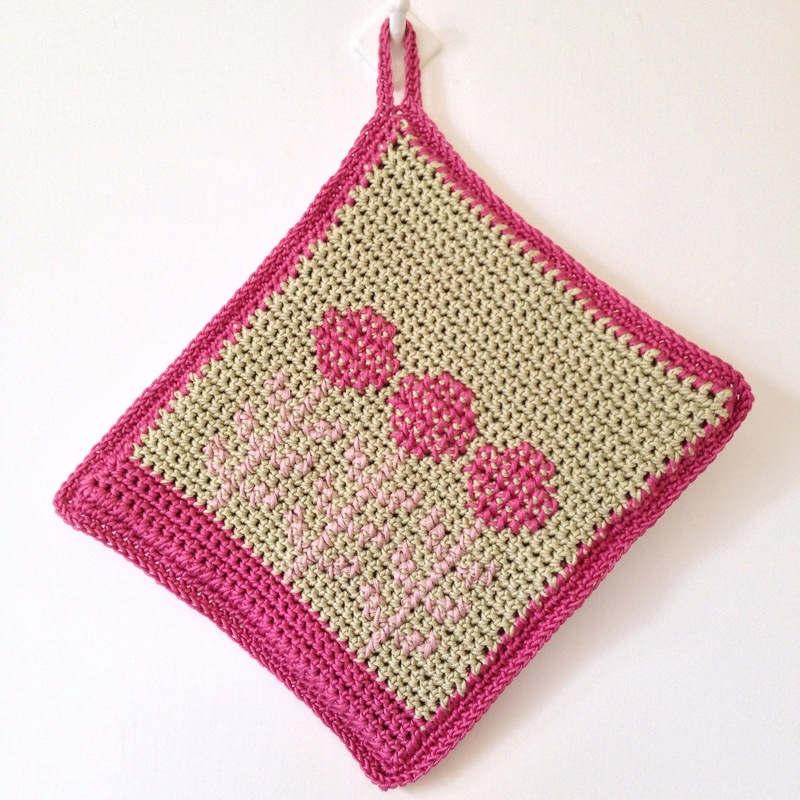 Crocheting more pot holders in the garden in the sun, on Saturday, now feels like a long time ago. It rained on Sunday, on Monday and yesterday. Last night I woke up because of the wind and the rain. Today it’s still raining heavily and steadily. 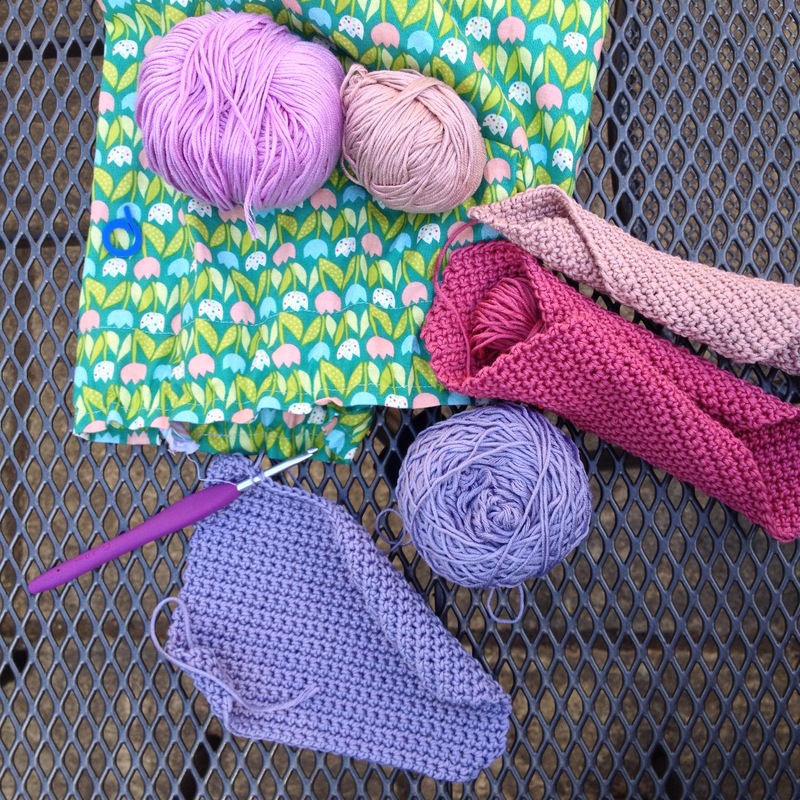 One upside of all the rain is that I am finishing off bits of crochet; mainly so I can start some more. 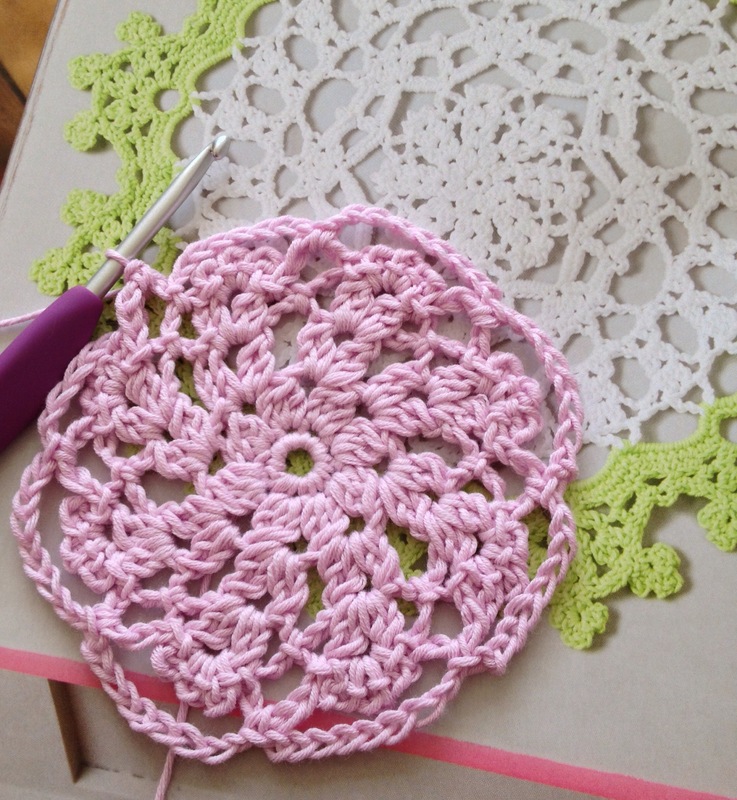 I really do prefer decorative but practical things but I’ve completely contradicted myself by making a doily… I’ve never made a mandala and always said that they are just 21st-century versions of a doily, then I made a doily! 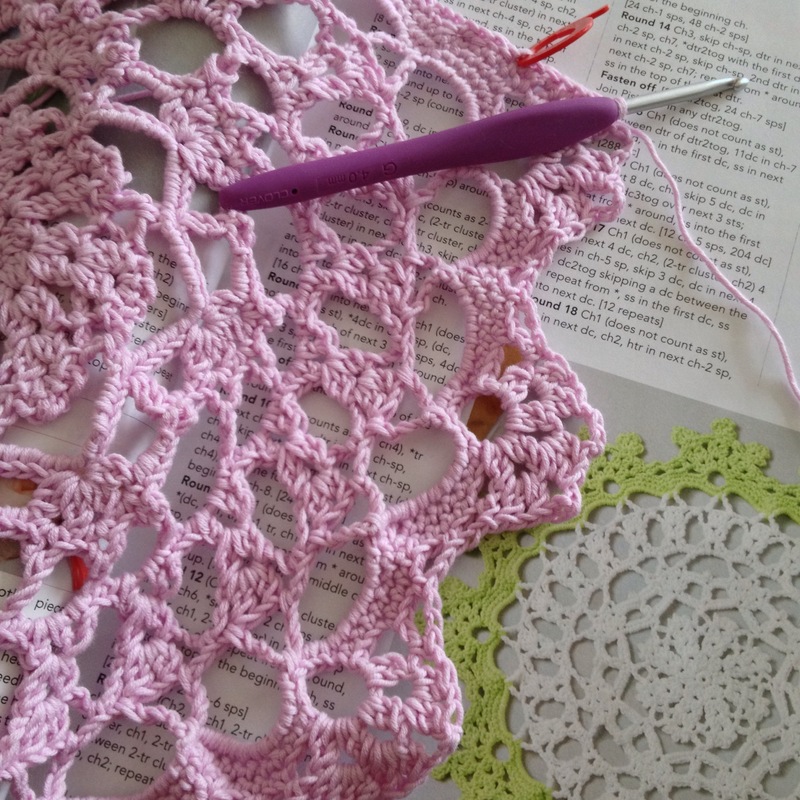 A crafty friend says she actually prefers doilies in modern yarns and colours, as she reckons the patterns tend to be a bit more complex. 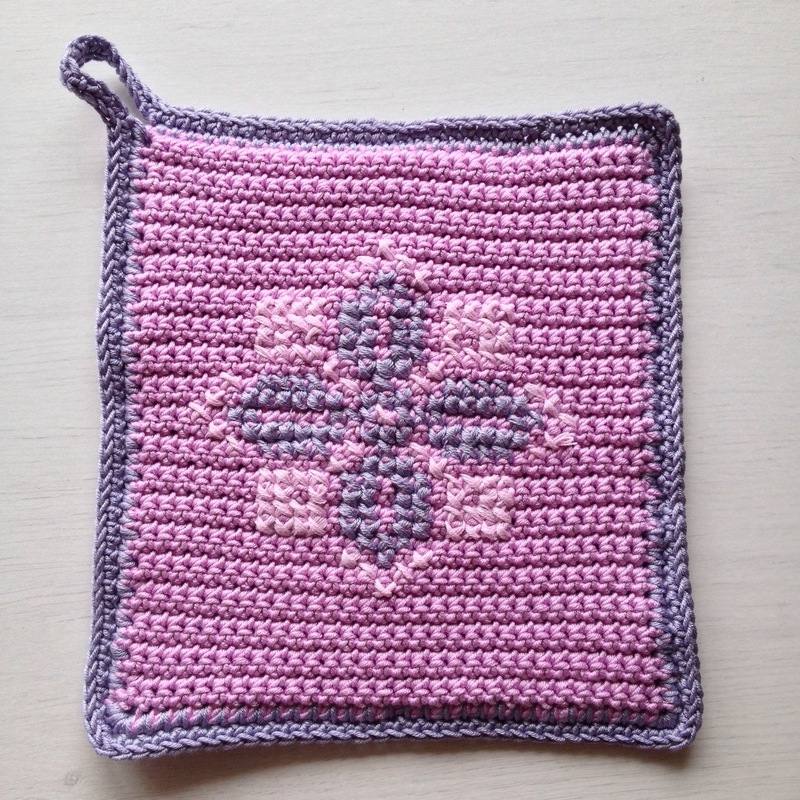 It was absorbing, I really enjoyed following the pattern. 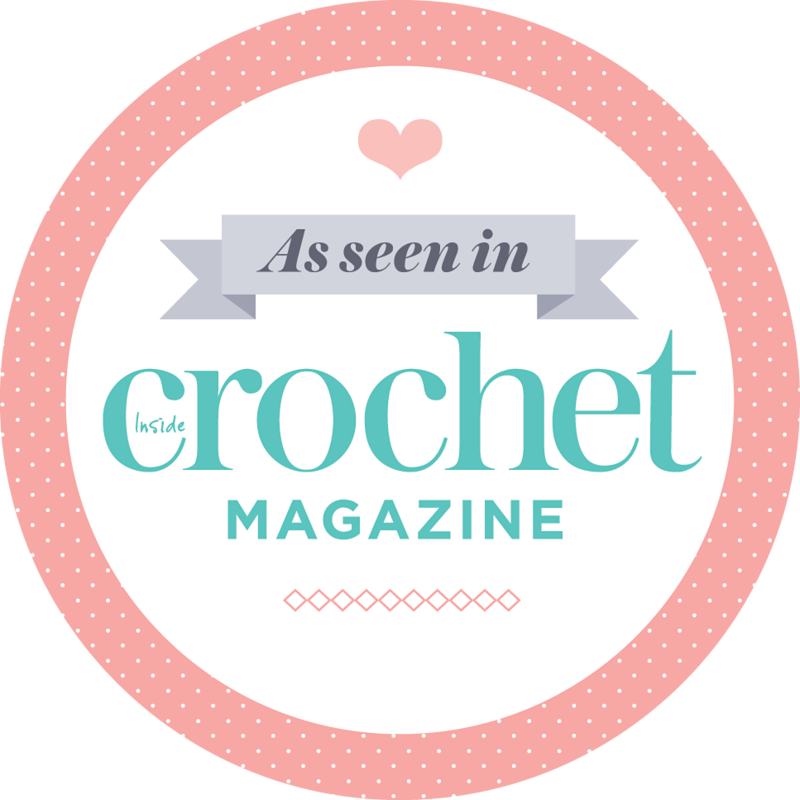 It’s from Simply Crochet magazine, issue 33 and is by Anne Egan. Like others; well to be strictly honest one other I found in my Google (but I bet there’s lots) I omitted the final round. I tried the mini-clovers and it just wasn’t joyful or relaxing. That’s an understatement… I just couldn’t work out which way to go round and they looked a mess, so I went in to the previous round with DCs instead. Later I need to block it. Perhaps they might be easier with finer thread, rather than DC cotton and a 4 mm hook? They’re definitely a challenge I’m going to take up in the future. Rah!! !